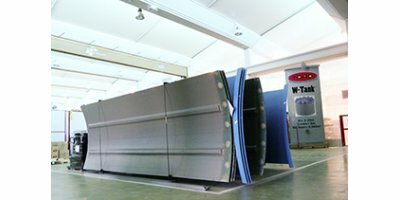 The plates of settler W-Tank are manufactured by flex molding process. The Flex Molding process is used to obtain reinforced plastic pieces with high glass fiber content, arranged in the direction of the stress, which leads to high mechanical strength. By Dam-It Dams Inc. based in Fenton, MICHIGAN (USA). The static sand collector has the function of extracting the sand (solids) that deposit on the tank bottom. 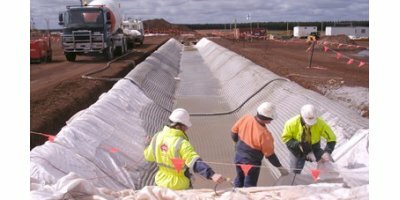 A spillway edge is mounted on the top of the static sand collector to make the water overflow and flow into a convey pipe. By Bio Mass Impianti srl (BMI) based in Trezzano s/N, ITALY. By Dyrhoff UK Ltd based in Folkestone, UNITED KINGDOM. Especially at overflow crests the measurement of the overflow discharged to the receiving water is of high interest to operators and governmental agencies. In several places it is required to record this overflow already. By Greenfix UK based in Eaglescliffe, UNITED KINGDOM. By Good Innovation LLC based in Sacramento, CALIFORNIA (USA). ACT provides corrosion resistant sheaves and blocks for gate handling at hydroelectric dams, stoplog handling beams, gate handling equipment, and gate hoist machinery as well as cranes. 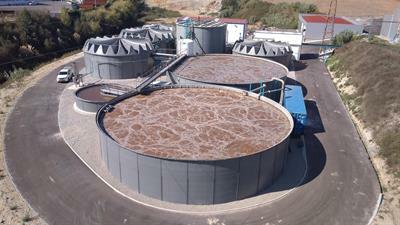 We can provide our customers products with coatings, and designed for immersion in water. By Advanced Crane Technologies LLC based in Reading, PENNSYLVANIA (USA). 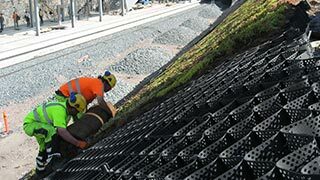 By Erosion Protection Systems Pty Ltd (EPS) based in North Narrabeen, AUSTRALIA. Also known as stop logs or bulkhead gates, these are used to seal off water flow to the spillway gate so it can be serviced. By AFI Hydro Inc. based in Paris, ONTARIO (CANADA).